Bibles, Meditation, Devotional, Music etc. .
Catechism, Inspirational, Reflections, Theological , Children’s Books, Parenting etc. 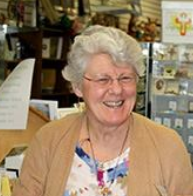 At Innervisions Suzanne and her staff are knowledgeable about the local Catholic Communities and are ready to help you find what you are searching for as a gift or for yourself. Call or come by they are ready and eager to help you.